Part 2 of the season preview sees teams ‘M-W’ going under the microscope. City manager Pep Guardiola started off his first season in England just like we thought he would and then things went a bit pear shaped. City managed to get automatic qualification for the Champions League but it was much tighter than they would have liked. The response was to cut loose numerous players whose contracts had come to an end. Keeper Willy Cabellero, defenders Bacary Sagna, Pablo Zabaleta, Gael Clichy & wide man Jesus Navas were released quicker than Navas runs down the wing. Add to that left back Aleksandar Kolorov who was sold to Roma. This left them lacking in the full back areas; so Pep went on a spending spree dishing out more than £120m. In come right back Kyle Walker (Spurs), left back Benjamin Mendy (Monaco) and Danilo (Real Madrid) who will cover on the left and right. City added to their array of midfield wizardry by signing left footed Portuguese international Bernardo Silva. Brazilian keeper Ederson arrived from Benfica and will take over number one duties. With Kevin De Bruyne, David Silva and Leroy Sane, add the box-to-box threat of Yaya Toure, Ilkay Gundogan returning from injury and the pace of Raheem Sterling; on paper the attack looks frightening. Up front: striker Sergio Aguero’s minutes will more than likely be cut due to how quickly Gabriel Jesus has settled. With Kelechi Iheanacho’s departure to Leicester and forward Nolito being sold to Sevilla, the return from loan of Wilfried Bony may get him a fresh chance at the club. The big issue is the fitness of captain Vincent Kompany, City always look more assured at the back when he is fit but how many games will he play? Pep will go back into the market if not before this summer window ends then definitely in January. If they can be tighter defensively then Pep can answer critics and reach the top of the mountain. Jose Mourinho switched United’s attention to winning the Europa Cup to gain Champions League qualification when it became the easier route than getting into the top four in the Premier League. They wasted several chances in league games and have brought in midfielder Paul Pogba’s buddy striker Romelu Lukaku to fix this. Lukaku is drafted in as veteran striker Zlatan Ibrahimovic did not sign a new deal with the club. Mourinho brings in Swede, Victor Lindelof, to bolster the central defence and is hoping to bring in right back Serge Aurier from Paris Saint Germain. Mourinho went back to old club Chelsea to bring in defensive midfielder Nemanja Matic and this should free up Pogba to kill the opposition after playing deeper than he would have liked in many games last term. Talk of Jose also buying Spurs’ versatile defender Eric Dier or Monaco’s Fabinho still linger as further options in the centre of midfield. Wayne Rooney is the high profile departure, however this is just in regards to his name though, as his lack of starts last season means this is not a huge blow. 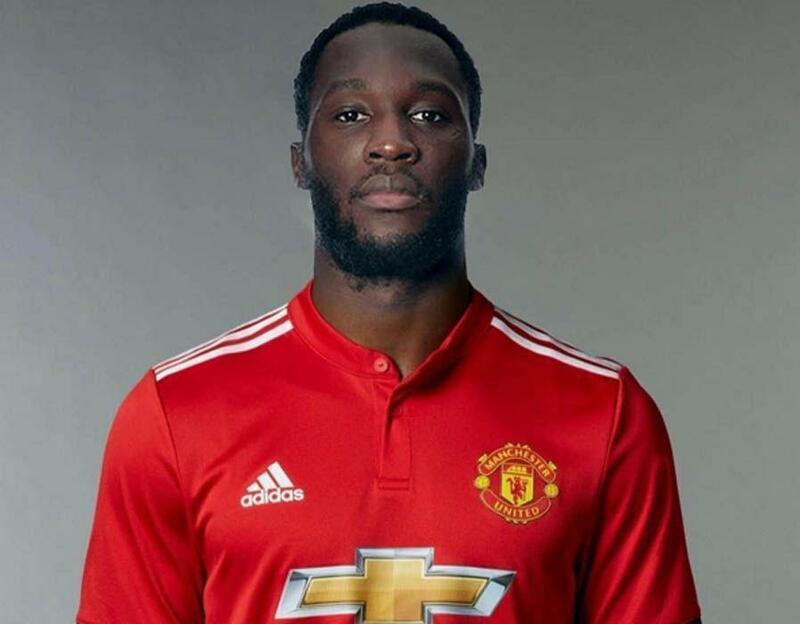 We know of how disciplined Mourinho likes his teams to be, so a lot will fall on Lukaku, not just for the £75m price tag, but because he will need to be consistent and rise to the challenge of playing for a huge club. If Lukaku does not fire, striker Marcus Rashford and forward Anthony Martial will surely get more chances in the centre than being farmed out wide. Croatian winger Ivan Perisic is wanted by Mourinho but Inter Milan is trying their best to prize United out of a deal. United are not likely to concede many goals, so always have the chance to nick a game 1-0 and this is crucial. It will not always be great on the eye but like it or not United are a threat. 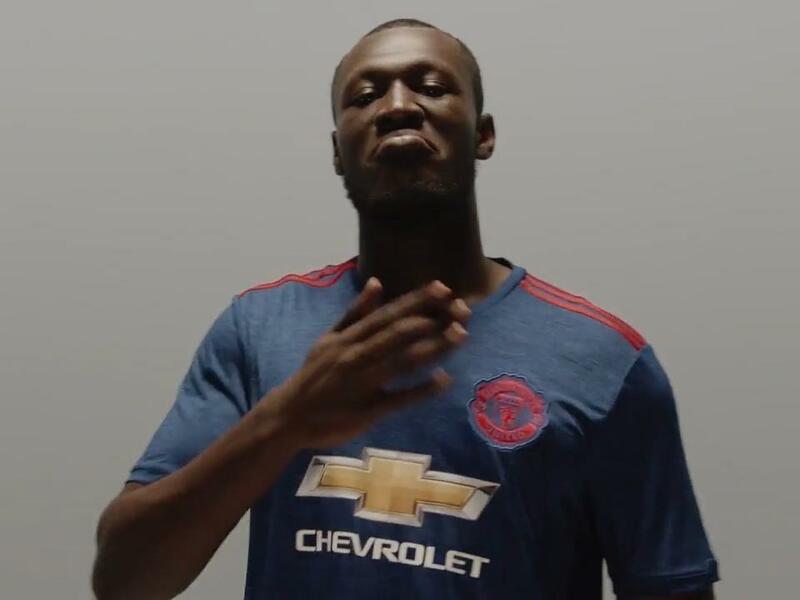 would not be able to differentiate him from UK Rapper/Grime artist, Stormzy. A sign of the times. Rafael Benitez returns to the Premier League after snatching the Championship title from Brighton last season. The best bit of business the Magpies did this summer was keeping him after the club’s offices were raided by the HMRC in regards to a tax fraud investigation. Numerous rumours arose about Benitez’ future but he stayed put. Mike Ashley and the board duly promised that Rafa would have the necessary funds he wanted to equip the squad with enough talent to survive, so forgive Newcastle fans who may be underwhelmed a little at the window so far. Newcastle had been linked to Pepe Reina, a keeper Benitez knows all too well, but he looks set to stay at Napoli. They were also linked to strikers Tammy Abraham who joined Swansea on loan & Andre Gray at Burnley, for now though Gray remains in Lancashire. 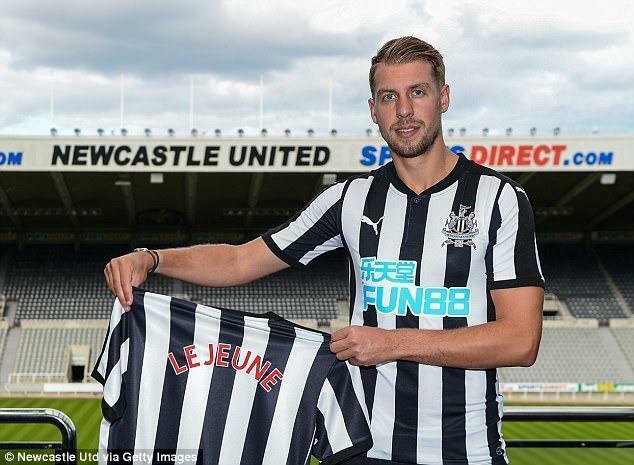 The purchases that have been made by the Magpies are centre half Florian Lejeune from Eibar who could be a real steal at £8.7m. Javier Manquillo comes in from Atletico Madrid after being on loan at Sunderland last season; a decent defensive full back but needs to improve going forward. Winger/forward Jacob Murphy comes in from Norwich and fulfils a dream of playing for the club he supported as a boy. The latest acquisition is midfielder Mikel Merino who joins on loan from Borussia Dortmund. Christian Atsu, on loan last season, joins permanently from Chelsea. The fans will expect an addition up top as although Dwight Gayle was excellent in the Championship, goals will be essential to staying up and Gayle has been in the Premier League before and has not been consistent. Striker Alexsandar Mitrovic has ability but is a hothead and therefore unreliable. All in all, with the quality possessed by the likes of Jonjo Shelvey, Mohamed Diame, Ayoze Perez and Matt Ritchie, coupled with Benitez’ tactical nous, expect Newcastle to be the most comfortable of the promoted teams and sit in mid table and not flirt with relegation. After letting go of Claude Puel, the Saints welcome Mauricio Pellegrino as manager whom led Spanish side Alaves to the Cup final and an impressive ninth in La Liga. Puel finished more or less where he was expected to but his passive style of play and the lack of goals scored (41) were seriously questioned. Pellegrino will try to maintain a top half finish while playing a more attractive brand of football without losing any efficiency. Southampton have good young players; some are products of their excellent youth system. Centre back Jack Stephens stepped in well when Virgil Van Dijk was injured last season and midfielder James Ward-Prowse is already an England international. Left back Matt Targett and midfielders Sam McQueen and Josh Sims will all push for more minutes and should thrive under Pellegrino. A lot hinges on whether they can keep Van Dijk who has been excellent at centre back for them. If they were to lose him though their recruitment has in the past been very good and they may be able to bring two players with the high amount of cash they would get. Fans will be anxious as only one player has been bought so far; 21 year old Polish centre back Jan Bednarek joins from Lech Poznan. Expect Pellegrino to do more before August finishes. Up front, they have lost Jay Rodriguez but have striker Charlie Austin coming back from a long injury layoff. They will be depending on winger Nathan Redmond’s pace and striker Manolo Gabbiadini who adapted so quickly last season after coming in January. Expect Southampton to be fine in the table once they do more business but not have enough to get into Europe via the League. Mark Hughes continues his hapless plight to rid Stoke of the ‘anti-football’ cloud that still hovers over them from when Tony Pulis was in charge at the club (though Pulis left 4 years ago). 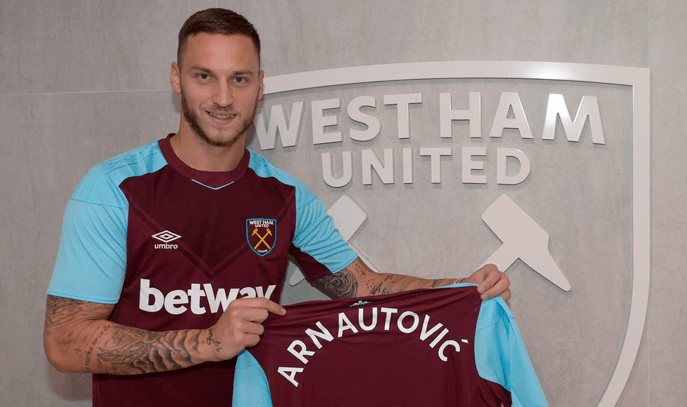 One of the players who was pivotal in the more purist style Hughes envisioned was winger/forward Marko Arnautovic, who has left for West Ham. The likes of winger Xherdan Shaqiri and midfielder Ibrahim Afellay are both still at the club but both men have not had luck with injuries. They are imperative not just to the team’s style but also especially with Shaqiri, providing that bit of extra quality and composure that will be needed to unlock a tight game. Another player with the ability to create is forward Bojan. His future is unclear however, after spending the second part of last season on loan at German side Mainz. If Bojan is kept then he may have an important role. Striker Saido Berahino will be fitter than last season and Hughes will expect goals from him. Midfielder Joe Allen had a very good first season at the Bet 365 stadium and again Hughes will want much of the same. Hughes has brought in Scottish midfielder Darren Fletcher who will bring in more graft to the midfield as Glen Whelan, a man whom Hughes relied upon, left for Aston Villa. Chelsea’s central defender Kurt Zouma comes in on loan: a solid player who, if he stays fit, can help the Potters from being dragged into the relegation fight. Former squad players Jon Walters and Phil Bardsley, have joined Burnley. This leaves Stoke looking a little light. Expect Hughes to have a scramble near to deadline day but as of now do not expect too much of them in regards to their league position. Swansea’s 2016/17 season was saved by making the ruthless but needed change of replacing Bob Bradley with Paul Clement. Clement has won numerous things as an assistant manager and his mentality transferred to his squad who put together some outstanding results to avoid relegation after looking disjointed. Everton and another unnamed club are heavily courting midfielder Gylfi Sigurdsson and with the high money on offer they may be forced to succumb. Fernando Llorente is another wanted man after bagging 15 league goals in his first season in England. It is unlikely the Swans will let them both go, though if one was to leave it would be Sigurdsson. Swansea welcome striker Tammy Abraham on loan from Chelsea; his goals kept a struggling Bristol City side in the Championship and he could have a really bright future ahead. 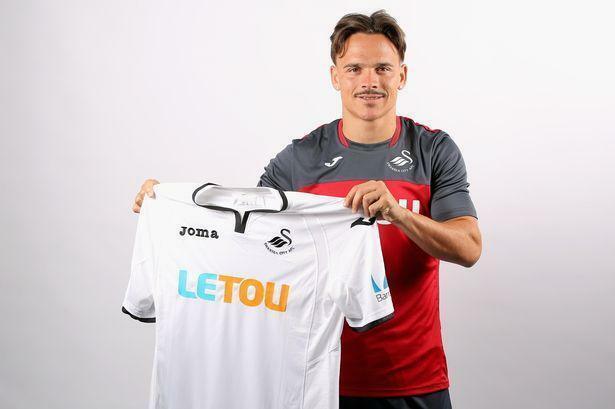 Spanish central midfielder Roque Mesa was signed from Las Palmas for £11m. Mesa is great on the ball and had the second most completed passes (2,267) in La Liga behind Sevilla’s Steven N’Zonzi, (source: Squawka). Mesa’s passing was crucial in a free flowing Las Palmas side who were really good to watch last season and he will feed the frontline. This fits right in with the more composed play that Clement integrated. Keeper Erwin Mulder comes in on a free transfer from Heerenveen and will back up first choice Lukasz Fabianski. Expect Clement to do more business (especially with the extra money if Sigurdsson goes) and end up keeping them clear of the quagmire. Mauricio Pochettino’s Tottenham side are in a really tricky scenario. They have the most balanced starting XI in the league, so therefore anyone they buy will be strengthening their bench. Spurs need a particular type of quality in addition to what they have; that calibre of player will not be willing to come and be a backup. The result of this has meant Spurs are the only team in the whole league who have not done any form of buying. Surely they cannot go the whole summer transfer window without purchasing someone. 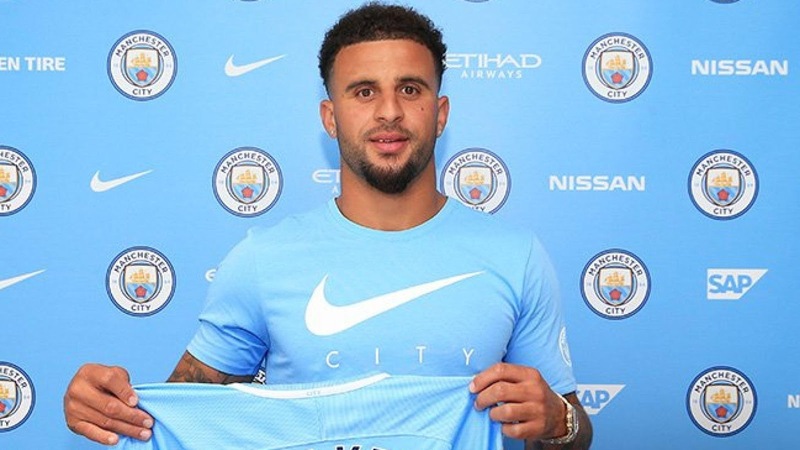 Pochettino has lost right back Kyle Walker to Manchester City and with the huge money they received for him, (£45m which could rise to £50m) they could bring in at least two players. With right back Kieran Trippier on hand, the blow of losing Walker is not as bad as it first seems. They do still however need a backup option. Another departure is forward Clinton N’Jie who never really settled in England and has gone to Marseille. Spurs never lost a game at home last season in the league in their final season at White Hart Lane. They are now going to play their home league games at Wembley while their new stadium is built and the timing of the move could not be worse. Could the fact they are changing stadium be why there are not spending? Wembley was not a good stomping ground for them last season when they played their Champions League home games there and expect them to drop more points at home now. Striker Vincent Janssen cannot afford to have another barren season as the backup to Harry Kane or his days in North London will be numbered. There is talk of Spurs looking at Everton’s Ross Barkley and Schalke’s Max Meyer as potential targets. Spurs must act quickly or risk being out of the top four unless they have a lot of luck with injuries. Portuguese manager Marco Silva is the new man in charge at Watford after the club let go of Italian Walter Mazzarri. Upon leaving Mazzarri stated the club did not adopt his approach, “I’ve tried to ingrain them with a winning mentality here but between the injuries and the difficulties at the end of the season, it hasn’t been possible”, (source: independent.co.uk). Marco Silva now astonishingly becomes Watford’s 11th manager in less than 9 years and many think he is sipping from a poisoned chalice. Silva was close to keeping up Hull City last season after taking over in January and despite them going down Crystal Palace were amongst the clubs who wanted his signature this summer. He likes his teams to keep possession and try to have a form of control on the game. This is promising if you are a Watford fan, because let’s be real, they were really painful to watch at times last season. They had injuries, captain Troy Deeney’s goals dried up and they lost interest once it looked like they had guaranteed survival. The Hornets bring in left footer Will Hughes from Derby; an England Under 21 international midfielder who has poise and grace on the ball and will bring creativity to a hard working midfield. Midfielder Tom Cleverley signs permanently from Everton after being here on loan last season and he will keep possession ticking over (though that may not mean the ball will always be going forward). Another England Under 21 international; central midfielder Nathaniel Chalobah comes in from Chelsea to gain regular first team football. Right back Kiko Femenia joins from Alaves and he can help out on the wing too if needed. The Hornets may need another body up top with Troy Deeney’s future up in the air after disputes over whether he will remain club captain under Silva. A central defender should also be on the agenda as Watford leaked a shambolic 68 goals last term despite the heroics of Heurelho Gomes in goal. All in all Watford under Silva’s guidance should just about have enough to stay up by the skin of their teeth. Not many managers in the league divide opinion like Tony Pulis does. His imprint is still on a Stoke side 4 years after his departure. It is often suggested that Pulis does not care for ball retention and this is backed by the last campaign where West Brom over the season averaged 40.7% possession (the lowest in the whole league; source: whoscored.com). Nonetheless this is a results business and since leaving Stoke, Pulis has kept Crystal Palace up and his West Brom outfit got to 40 points so quickly last term that they were able to go on a mental vacation. One thinks this season will be much harder though. If Pulis intends to push on from 10th then he will need to add more bodies to his ventures into the transfer market. Thus far, giant Egyptian central half Ahmed Hegazi has been acquired on loan for the season from Al Ahly. Hegazi stands at 6’5” and given the fact West Brom score so many goals from set pieces this could be a match made in heaven. What could be a really clever buy is that of striker Jay Rodriguez who joins from Southampton. Rodriguez has always had a little something about him but his last couple of seasons have been blighted by injury. If Rodriguez can stay fit then expect a decent goal return. Needless to say no ball playing midfielders have been signed at the time of print. The Baggies have done a decent job in keeping last season’s squad together with only full back Sebastien Pocagnoli joining Standard Liege on a free transfer and midfielder Darren Fletcher fleeing to Stoke. They must do more before the window. One of the things they have in their locker is the aforementioned set piece threat. They scored 48.8% of their goals from set pieces last season, (source: Opta). Defenders Gareth McAuley, Craig Dawson & Jonny Evans all chipped in with goals and their aerial threat will be vital and this should just about keep them safe. The Hammers have rather unexpectedly had one of the best summer transfer windows in the whole Premier League. West Ham had struggled last term to replicate their 2015/16 season when they came seventh. They were a real mess before a late season burst got them up to 11th. They shipped 64 goals last season and that was not good enough. Manager Slaven Bilic rode the waves during the last campaign and it seems he has now had an epiphany as his recruitment policy shows. Versatile defender Pablo Zabaleta came in on a free transfer from Manchester City. Zabaleta had been tracked by the likes of Inter Milan so it was a little surprising that he chose to go to East London. Winger/forward Marko Arnautovic was acquired from Stoke for around £24m after he handed in a transfer request. Arnautovic is a maverick but if Bilic can somehow get the Austrian to be more dependable we have seen how devastating he can be. Striker Javier Hernandez was another really sound purchase, a natural finisher who has played at the highest level and will guarantee goals. Joe Hart comes in on loan from Manchester City after a troubled spell on loan at Torino last year. Hart is a huge name but are his best days behind him? If he can somehow regain his old form, West Ham could be looking good with a realistic chance of getting into Europe via the league. Manchester United face West Ham in their opening league game and when talking of their exploits United manager Mourinho said “They have got Joe Hart, Chicharito (Hernandez) and Arnautovic. It looks like they are playing to win the Premier League too”, (source: standard.co.uk). Though West Ham challenging for the title might be a stretch the intent is certainly there from Bilic and the board deserve credit for backing him. They must improve their home form after a poor first season playing their games at the Olympic Stadium. If the likes of striker Andy Carroll and winger Andre Ayew can stay fit they could be giving the likes of Everton a really good run for the seventh spot. What do you think about Daniel’s predictions? Do you agree? Let us know!